Deux Vultures is an extremely popular Urban Kenyan group. The duo, Thomas Konzanga aka Nasty Thomas and Daudi Mustapha aka Colonel Moustapha have made an impressive impact on the East African region over the last few years. Both in there twenties, Nasty and Colonel have a bond that spans as far back as Primary School. From an early age they were interested in rap music and writing ryhms as Nasty explains, 'from an early age we were exposed to a lot of American Hip Hop music that was playing in radio all the time and this definitely made an impression on our style of music'. And Colonel Moustapha adds, ' By the time we completed primary school, rap had become permanently engraved in our hearts'. It's no wonder they gel so well as a group. Development As the boys developed ryhmes, they realized that a fusion of some sort had to be made in order to make their style relevant at home. By the time they got to high school (Muguga High School, 1998) they had discovered a style that was Deux Vultures own and were focused and determined to make it big in the industry. 'After class we would venture into Jam sessions at famous clubs in Nairobi including Florida 2000 to compete and horn out our skills of rhyming in Kiswahili and sheng' explains Nasty Thomas. It wasn't long before Ogopa Deejays one of East Africa music power house discovered this budding talent and signed them on. In developing their own blend of this mix Ogopa was able to come up with a unique upbeat yet entertaining style for Deux Vultures that has captured the heats of many across the EA region. 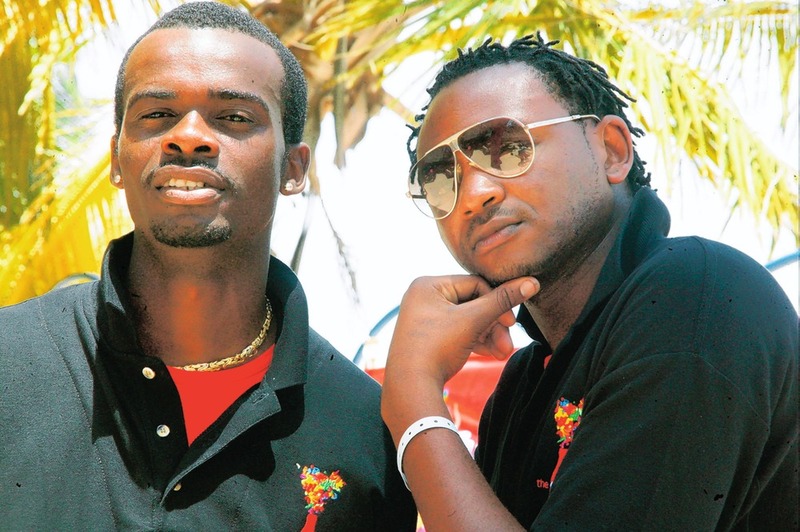 And the hits begun The duo immediately recorded and released the mega hit 'Monalisa' in 2002 that was featured on the compilation album Ogopa 1, which has become a Kenyan Club Classic and one of the biggest hits East Africa has seen to date. The track surpassed all expectations and was virtually inescapable as it cranked up from every club and radio speaker. A video for the same title produced by KTN, the leading broadcaster in Kenya in conjunction with Balozi Productions deux vultures mavulture mavolchaenjoyed massive airplay on KTN, Channel O and MCN (Africa). There was no turning back Soon after the duo released their much anticipated album 'KATIKA', that has done relatively well in East Africa. They have had several opportunities to perform at The Carnivore, City Cabannas (Both in Nairobi Kenya), Mamba Disco in Mombasa, Seychelles, Burundi, Uganda, Zambia and Tanzania (Bilcanas) In June 2004 they went back to the Ogopa studio again and have released the smash hit 'Kinyau nyau' whose video has been one of the most requested videos on Kenya's premier TV music video show 'The Beat' in 2005. As a follow up single 'Adhiambo Si' received an over whelming response and is considered the best fusion witnessed in 2005.